1y3m 31/03/2019 SUNSHINE COAST: Margin 2.9 Distance 1000m SOT S RST 3 BM65 Race Jim Beam Black (BM65) Prize $21,000 API 2.14 Race Time 0:58.74 Time Adj +0.84 Sec Time 0:34.44 Sec Time Adj +0.84 Jockey James Orman Weight 57.5 CD 57.5 BP 5 Odds 7-2 - 9-2 Trainer Garnett Taylor OHR: 60 Ongoing Winners [o] 02-01-03 Rail 7m Entire Course. (Pent: 7.4). Track Direction Clockwise Winner Enterprise Louise (55.5) Second Tru Blu Tango (56.5) Third Cossie (53.5) Inrunning Position first on settling, first at 800m, first on turn Tempo Suited front runners Video Comment Fast into stride then pressed on to lead by 1L on settling, led by half a length at the turn. 1 of 7 9/12/2017 GOLD COAST: Margin 1.0 Distance 900m SOT G RST 2 CG MDN Race Brisbane Isuzu Mdn Plate Prize $14,000 API 2.7 Race Time 0:51.77 Time Adj +1.45 Sec Time 0:33.42 Sec Time Adj -0.58 Jockey Gary Geran Weight 57.0 CD 57.0 BP 6 Odds 13-8 7-4 - 13-8 Trainer Garnett Taylor OHR: 61 Ongoing Winners [o] 00-00-01 Rail True Entire Course. (Pent: 4.6). Track Direction Clockwise Gear Change Tongue Tie FIRST TIME, Winkers FIRST TIME Stewards Shifted in near 600m. Protested against, dismissed. Second Falvelino (57) Third Line Up Girls (57) Inrunning Position first on settling, first on turn Tempo Suited front runners Video Comment Jumped on terms and pressed on to lead one off the fence on settling, held position to the turn along the rail, increased margin in the run home, fought off late challenge, proved too smart. 62d 28/03/2019 ROCKHAMPTON: Margin 9.2 Distance 1200m SOT S RST 3 OPEN Race Central Qld Plasterers Hcp Prize $19,000 API 1.31 Race Time 1:11.30 Time Adj +0.7 Jockey Elyce Smith Weight 57.0 CD 55.0 BP 4 Odds 7-1 - 12-1 Trainer Lyle Rowe OHR: 63 Ongoing Winners [o] 01-00-02 Rail Out 7.5m Entire Course. Track Direction Clockwise Winner Marway (58.5) Second Gracie Belle (59.5) Third Taraki (54) Inrunning Position second on settling, second at 800m, second on turn Video Comment Jumped on terms, settled 2nd of 7 2WNC 2L, 2nd 2WNC by half a length at the turn. 15d 25/01/2019 ROCKHAMPTON: Margin 6.7 Distance 1050m SOT G RST 3 OPEN Race Onsite Fleet Maintenance Hcp Prize $16,500 Race Time 0:59.70 Time Adj +0.93 Sec Time 0:32.74 Sec Time Adj -0.40 Jockey Justin P Stanley Weight 57.5 CD 57.5 BP 4 Odds 13-4 - 9-2 Trainer Lyle Rowe OHR: 64 Ongoing Winners [o] 00-04-06 Rail True. Track Direction Clockwise Winner Gypsy Toff (61.5) Second Last Chance (57.5) Third Our Top Shelf (56) Inrunning Position fifth on settling, fifth on turn Tempo Suited front runners Video Comment Jumped on terms, settled 2nd last of 6 2WWC 4L, 2nd last 3WNC 2.5L at the turn, only battled home. 23d 10/01/2019 ROCKHAMPTON: Margin 2.8 Distance 1300m SOT G RST 3 OPEN Race Jan 4 Gia/Please Donate Hcp Prize $19,000 API 1.21 Race Time 1:17.71 Time Adj +3 Sec Time 0:33.68 Sec Time Adj +0.30 Jockey Justin P Stanley Weight 59.0 CD 59.0 BP 3 Odds 7-4 - 3-1 EF Trainer Lyle Rowe OHR: 67 Ongoing Winners [o] 00-01-07 Rail 5m Entire Course. Track Direction Clockwise Stewards Stewards queried run. Lost a plate. Winner Chanamaro (56.5) Second Last Chance (58) Third Myola Milly (55.5) Inrunning Position second on settling, second at 800m, second on turn Tempo Suited front runners Video Comment Jumped on terms, settled 2nd of 8 2WNC 2L, under pressure from the 300m, 2nd 2WNC 1L at the turn, made ground to the 150m then began to struggle, battled away late. Vet - No abnormalities. Lost a plate. 3m27d 18/12/2018 ROCKHAMPTON: Margin 0.2 Distance 1200m SOT S RST 3 OPEN Race Nab Business Hcp Prize $19,000 API 0.5 Race Time 1:10.53 Time Adj -0.07 Sec Time 0:34.81 Sec Time Adj +0.01 Jockey Justin P Stanley Weight 58.0 CD 58.0 BP 3 Odds 3-1 - 11-2 Trainer Lyle Rowe OHR: 68 Ongoing Winners [o] 01-02-12 Rail 5m Entire Course. Track Direction Clockwise Second Shenron (55.5) Third Last Chance (59) Inrunning Position first on settling, first at 800m, second on turn Tempo Suited front runners Video Comment Began well, joint leader by 1.25L 2W on settling, led by 1/2L at the turn, kicked clear at top of the straight, held off late challenge, proved too smart. 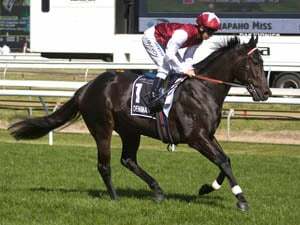 37d 22/03/2019 BOWEN: Margin 3.9 Distance 1000m SOT G RST 3 MDN Race Abbot Point Bulk Coal Mdn Prize $16,500 API 0.87 Race Time 0:58.06 Time Adj +1.96 Jockey Hannah English Weight 54.0 CD 52.5 BP 6 Odds 14-1 - 25-1 Trainer John Manzelmann OHR: 0 Ongoing Winners [o] 02-03-14 Rail True Entire Course. Track Direction Clockwise Winner Loveisall Youneed (58.5) Second Exceeding Assassin (59) Third Craiglea Arion (54) Inrunning Position first on settling, first at 800m, second on turn Video Comment Jumped on terms, joint leader by 2.25L 2W on settling, inside on-pace 3/4L at the turn. 11d 13/02/2019 DOOMBEN: Margin 13.7 Distance 1350m SOT G RST 3 MDN Race Lunar New Year Raceday Mdn Prize $25,000 Race Time 1:20.36 Time Adj +1.94 Sec Time 0:35.23 Sec Time Adj +1.34 Jockey Corey Bayliss Weight 55.0 CD 52.0 BP 6 Odds 60-1 66-1 - 50-1 Trainer Danny J Bougoure OHR: 0 Ongoing Winners [o] 02-02-10 Rail 8m Entire Course. (Pent: 5.79). Track Direction Clockwise Stewards Raced three wide without cover. Had to be steadied near the 350m when tightened for room between Fizz and Euleilah. Winner Peppi La Few (57) Second Tequila Boom (55) Third All Dreams (55) Inrunning Position third on settling, fifth at 800m, fifth on turn Tempo Suited front runners Video Comment Jumped on terms, settled on-pace 3WNC 3/4L, drifted back mid-race, 4WNC midfield 2.25L at the turn, had to be steadied near the 350m, laboured in straight after a torrid run. 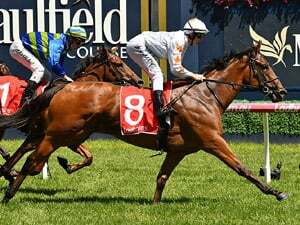 22d 2/02/2019 GOLD COAST: Margin 3.5 Distance 1200m SOT G RST 3 MDN Race Stuart James Memorial Mdn Hcp Prize $21,000 API 5.9 Race Time 1:10.99 Time Adj +2.08 Sec Time 0:34.86 Sec Time Adj +1.25 Jockey Matthew Palmer Weight 54.5 CD 54.5 BP 3 Odds 40-1 30-1 - 50-1 Trainer Danny J Bougoure OHR: 0 Ongoing Winners [o] 00-02-08 Rail 5m 1400-W/Post; 2.5m Remainder. (Pent: 4.5). Track Direction Clockwise Stewards Began awkwardly. Winner Boomista (54.5) Second Katy Boom (57) Third Serpenti (55) Inrunning Position sixth on settling, sixth at 800m, eighth on turn Tempo Suited front runners Video Comment Began awkwardly, settled 6th of 9 2WWC 3.75L, 6th at 800m, 2nd last 3WWC 3L at the turn, boxed on all the way home and wasn't beaten all that far. 16d 11/01/2019 SUNSHINE COAST: Margin 5.7 Distance 1000m SOT G RST 3 MDN Race Pitchers Hospitality Mdn Prize $21,000 API 0.94 Race Time 0:58.32 Time Adj +1.76 Sec Time 0:34.40 Sec Time Adj +1.10 Jockey Luke Tarrant Weight 55.0 CD 55.0 BP 4 Odds 40-1 - 100-1 Trainer Danny J Bougoure OHR: 0 Ongoing Winners [o] 01-02-07 Rail Out 5m Entire. (Pent: 6.53). Track Direction Clockwise Winner Rapid Ace (59) Second Dolly Spartan (57) Third Zarafet (56.5) Inrunning Position tenth on settling, tenth at 800m, tenth on turn Tempo Suited front runners Video Comment Vet passed fit to run. Jumped on terms then eased back, settled 2nd last on the inside 5.5L, 2nd last on the inside 5L at the turn, passed a few late without threatening. 19d 18/12/2018 ROCKHAMPTON: Margin 12.6 Distance 1200m SOT S RST 3 OPEN Race Nab Business Hcp Prize $19,000 API 0.5 Race Time 1:10.53 Time Adj -0.07 Sec Time 0:34.81 Sec Time Adj +0.01 Jockey Christopher Mc Iver Weight 54.0 CD 54.0 BP 6 Odds 12-1 - 25-1 Trainer Peter Fleming OHR: 50 Ongoing Winners [o] 01-02-12 Rail 5m Entire Course. Track Direction Clockwise Winner Legal Ties (58) Second Shenron (55.5) Third Last Chance (59) Inrunning Position ninth on settling, ninth at 800m, eighth on turn Tempo Suited front runners Video Comment Jumped on terms, settled midfield 2WWC 2.5L, 3WWC worse than midfield 4L at the turn, made ground from upon straightening until the furlong, run ended and only battled thereafter. 13d 29/11/2018 MACKAY: Margin 0.1 Distance 1050m SOT G RST 3 CL1 Race Smartstate Vehicle Rentals-C1 Prize $16,500 API 1.41 Race Time 1:01.48 Time Adj +1.83 Sec Time 0:34.32 Sec Time Adj +1.00 Jockey David Simmons Weight 54.0 CD 54.0 BP 4 Odds 20-1 - 25-1 Trainer Peter Fleming OHR: 52 Ongoing Winners [o] 01-01-05 Rail Out 3m Entire. (Pent: 4.5). Track Direction Clockwise Stewards Tightened between runners on jumping. Second Shenron (58.5) Third Little Arrows (55) Inrunning Position seventh on settling, seventh at 800m, sixth on turn Tempo Suited front runners Video Comment Tightened between runners on jumping, settled 2nd last of 8 2WWC 5L, 6th 3WWC 1.75L at the turn, ran on strongly to take over, dug deep to just get there. 13d 16/11/2018 MACKAY: Margin 3.0 Distance 1100m SOT G RST CL2 Race Natural Body & Beauty Hcp (C2) Prize $19,000 Race Time 1:04.65 Time Adj +2.55 Sec Time 0:35.29 Sec Time Adj +1.95 Jockey Adin Thompson Weight 54.0 CD 52.0 BP 3 Odds 12-1 10-1 - 14-1 Trainer Peter Fleming OHR: 47 Ongoing Winners [o] 01-03-08 Rail 3m Entire Course. (Pent: 4.55). Track Direction Clockwise Stewards Tightened between runners shortly after the start, losing its position. Over-raced in the early stages. Winner Prince Of Mine (54) Second Magic Word (59) Third Trerice (57) Inrunning Position sixth on settling, sixth at 800m, fourth on turn Tempo No bias Video Comment Jumped away fairly and tightened between runners shortly after the start, losing its position, overraced in the early stages, settled 6th of 9th on the inside 4.25L, 4th 3WNC 2.75L at the turn, held ground in run until 200m, battled away final 150m. 11d 8/12/2018 ROCKHAMPTON: Margin 6.6 Distance 1300m SOT G RST MDN Race Storage One Mdn Plate Prize $14,500 API 1.67 Race Time 1:17.95 Time Adj +3.28 Sec Time 0:34.72 Sec Time Adj +1.33 Jockey N Summers Weight 54.0 CD 54.0 BP 7 Odds 14-1 - 20-1 Trainer Tom Button OHR: 0 Ongoing Winners [o] 02-00-11 Rail Out 5m Entire Course. Track Direction Clockwise Stewards Fell shortly after passing the winning post. Winner Santa Anita (55.5) Second No Shenanigans (57.5) Third Prescription (55.5) Inrunning Position third on settling, third at 800m, fourth on turn Tempo Suited front runners Video Comment Jumped on terms, settled on-pace 2WNC 1.5L, inside on-pace 1.5L at the turn, made ground to the 300m, couldn't go on with it, fell passing the winning post. 7d 27/11/2018 ROCKHAMPTON: Margin 3.9 Distance 1200m SOT G RST 3 MDN Race Walker's Hot Bread Mdn Hcp Prize $19,000 API 1.03 Race Time 1:10.91 Time Adj +2.68 Sec Time 0:34.88 Sec Time Adj +1.53 Jockey Christopher Mc Iver Weight 55.0 CD 55.0 BP 9 Odds 20-1 20-1 - 30-1 Trainer Tom Button OHR: 0 Ongoing Winners [o] 01-01-14 Rail Out 5m Entire. Track Direction Clockwise Winner Attique (56) Second Bold Zip (59) Third Select Royal (58) Inrunning Position tenth on settling, tenth at 800m, thirteenth on turn Tempo Suited front runners Video Comment Jumped on terms then eased back, settled worse than midfield on the inside 3.75L, inside worse than midfield 4L at the turn. 11d 20/11/2018 ROCKHAMPTON: Margin 2.8 Distance 1300m SOT G RST MDN Race Goody's Earthmoving Mdn Hcp Prize $16,500 API 2.77 Race Time 1:18.09 Time Adj +3.39 Sec Time 0:35.70 Sec Time Adj +2.31 Jockey Rhiannon Payne Weight 54.0 CD 54.0 BP 3 Odds 20-1 25-1 - 20-1 Trainer Tom Button OHR: 0 Ongoing Winners [o] 00-07-20 Rail Out 5m Entire. Track Direction Clockwise Winner Tatoi (54) Second Adsum (59) Inrunning Position eighth on settling, eighth at 800m, sixth on turn Tempo No bias Video Comment Jumped on terms then eased back, settled midfield 3L on the inside, worse than midfield 5.25L at the turn, battled on along the rail until shifted out at the 200m, made good ground late and grabbed 3rd. 28d 23/02/2019 MACKAY: Margin 1.3 Distance 1050m SOT G RST CL2 Race Smartstate Vehicle Rentals-C2 Prize $19,000 API 2.75 Race Time 1:02.63 Time Adj +2.99 Sec Time 0:34.64 Sec Time Adj +1.32 Jockey Nathan Thomas Weight 56.5 CD 56.5 BP 7 Odds 3-1 - 9-2 Trainer Mick Attard OHR: 49 Ongoing Winners [o] 00-05-11 Rail Out 4m Entire Course. (Pent: 4.7). Track Direction Clockwise Stewards Raced greenly when placed under pressure in the home straight. Winner Insolvent (57.5) Third He's Stirling (57.5) Inrunning Position second on settling, second at 800m, first on turn Tempo Suited front runners Video Comment Jumped fairly, settled 2nd of 8 2WNC 3/4L, led by half a length 2W at the turn, raced greenly when placed under pressure in the straight. 4m4d 7/03/2019 ROCKHAMPTON: Margin 6.4 Distance 1200m SOT G RST 34 MDN Race 990 4Ro Mdn Hcp Prize $19,000 API 0.38 Race Time 1:10.93 Time Adj +2.7 Sec Time 0:34.77 Sec Time Adj +1.42 Jockey Christopher Mc Iver Weight 54.5 CD 54.5 BP 5 Odds 25-1 - 66-1 Trainer Lyle Wright OHR: 0 Ongoing Winners [o] 01-05-15 Rail Out 6m Entire Course. Track Direction Clockwise Winner Sujani (54) Second Outspoken (56.5) Third Kaos Agent (59) Inrunning Position sixth on settling, sixth at 800m, ninth on turn Tempo Suited front runners Video Comment Jumped on terms, settled midfield 2WWC 3.5L, 2WWC midfield 4.5L at the turn. 24d 15/01/2019 MACKAY: Margin 5.7 Distance 1200m SOT G RST 3 MDN Race Triple M Mackay Mdn Hcp Prize $16,500 API 0.03 Race Time 1:10.83 Time Adj +1.63 Sec Time 0:35.72 Sec Time Adj +2.20 Jockey Ms C Jokic Weight 57.5 CD 57.5 BP 7 Odds 7-1 - 9-1 Trainer Tim Cook OHR: 0 Ongoing Winners [o] 01-03-11 Rail True Entire Course. (Pent: 4.8). Track Direction Clockwise Stewards Slowly away. Winner Miss Amur (57.5) Second Outspoken (57.5) Third Craiglea Celerio (53.5) Inrunning Position thirteenth on settling, thirteenth at 800m, thirteenth on turn Tempo No bias Video Comment Slowly away, settled last on the inside 6+L, last 3WWC 6+L at the turn, swung widest, shifted inwards near the 100m, passed a few late without threatening. 36d 22/12/2018 MACKAY: Margin 0.2 Distance 1100m SOT G RST 3 MDN Race Mcdonald Murphy Machinery Mdn Prize $14,500 API 0.85 Race Time 1:05.14 Time Adj +3.04 Sec Time 0:35.71 Sec Time Adj +2.37 Jockey Ms C Jokic Weight 56.5 CD 56.5 BP 11 Odds 7-2 - 5-1 Trainer Tim Cook OHR: 0 Ongoing Winners [o] 00-00-08 Rail True Entire Course. (Pent: 4.6). Track Direction Clockwise Stewards Slow to begin. Winner Dragon Pins (58) Third Little Mo (56.5) Inrunning Position twelfth on settling, twelfth at 800m, twelfth on turn Tempo No bias Video Comment Slow to begin, settled last 3WWC 6+L, 3WWC last 5L at the turn, pulled to the outside and ran on, just missed in after a late lunge. 35d 16/11/2018 MACKAY: Margin 2.2 Distance 1050m SOT G RST 3 MDN Race Blue River Landscapes Mdn Prize $19,000 Race Time 1:01.33 Time Adj +1.68 Sec Time 0:34.20 Sec Time Adj +0.88 Jockey Ms C Jokic Weight 57.0 CD 57.0 BP 2 Odds 2-1 - 11-4 Trainer Tim Cook OHR: 0 Ongoing Winners [o] 02-01-05 Rail 3m Entire Course. (Pent: 4.55). Track Direction Clockwise Stewards Bumped near the 900m. Winner Miss Manibel (54.5) Second Attique (56) Third Gracie Belle (58) Inrunning Position fourth on settling, fourth at 800m, third on turn Tempo Suited front runners Video Comment Fast into stride, bumped near the 900m, settled 4th of 7 2WWC 3.5L, 4th at 800m, 3rd on the inside 1.75L at the turn, shifted out near the 200m, battled away over final stages and lost a place. 64d 12/10/2018 TOWNSVILLE: Margin 0.8 Distance 1000m SOT G RST 3 MDN Race Townsville Vet Clinic Mdn Prize $14,000 Race Time 0:57.98 Time Adj +2.34 Sec Time 0:33.97 Sec Time Adj +0.86 Jockey Ms C Jokic Weight 57.0 CD 57.0 BP 3 Odds 15-8 - 5-4 Trainer Tim Cook OHR: 0 Ongoing Winners [o] 01-00-04 Rail 0.5 metre Entire Course. (Pent: 4.32). Track Direction Clockwise Stewards Began awkwardly. Buffeted between runners shortly after the start. Winner Little Arrows (54.5) Third Osbeck (55.5) Inrunning Position fourth on settling, fourth at 800m, third on turn Tempo Suited front runners Video Comment Began awkwardly and buffeted between runners, settled midfield on the inside 2L, joint leader by 3/4L on the inside at the turn, used the cutaway and raced head to head with the leader to the 50m, couldn't go on but didn't give up. Vet - Poor recovery. 14d 9/08/2018 ROCKHAMPTON: Margin 4.2 Distance 1050m SOT G RST 3 OPEN Race Stage And Audio Hcp Prize $14,000 API 1.33 Race Time 1:01.42 Time Adj +1.62 Sec Time 0:32.87 Sec Time Adj -0.56 Jockey Ms S Wiseman Weight 54.0 CD 54.0 BP 6 Odds 10-1 - 11-1 Trainer Tim Cook OHR: 0 Ongoing Winners [o] 00-03-05 Rail 7m Entire Course. Track Direction Clockwise Stewards After beginning poorly from a wide barrier the horse was restrained to the rear of the field to obtain a position closer to the rail. Winner Gypsy Toff (56.5) Second Legal Ties (57) Third Craiglea Rubble (57.5) Inrunning Position sixth on settling, sixth at 800m, fourth on turn Tempo Suited front runners Video Comment Jumped away poorly, eased back from a wide draw to settle last of 6 on the inside 5.5L, last on the inside 3L on the turn, pulled to the outside at top of the straight, battled on without threatening. 5m5d 22/03/2019 BOWEN: Margin 4.6 Distance 1000m SOT G RST 3 MDN Race Abbot Point Bulk Coal Mdn Prize $16,500 API 0.87 Race Time 0:58.06 Time Adj +1.96 Jockey Stanley Watkin Weight 58.0 CD 58.0 BP 8 Odds 100-1 - 150-1 Trainer Ian D Shaw OHR: 0 Ongoing Winners [o] 02-03-14 Rail True Entire Course. Track Direction Clockwise Gear Change Blinkers FIRST TIME Stewards Bumped with another runner on jumping. Winner Loveisall Youneed (58.5) Second Exceeding Assassin (59) Third Craiglea Arion (54) Inrunning Position fifth on settling, fifth at 800m, third on turn Video Comment Bumped with another runner on jumping, settled midfield 3WWC 3L, 4WNC on-pace 1.5L at the turn. 12d 18/10/2018 MACKAY: Margin 23.8 Distance 1100m SOT G RST 3 OPEN Race Man About Menswear Hcp Prize $14,000 Race Time 1:03.05 Time Adj +0.95 Sec Time 0:33.63 Sec Time Adj +0.29 Jockey Rhiannon Payne Weight 54.0 CD 54.0 BP 4 Odds 100-1 100-1 - 100-1 Trainer Ian D Shaw OHR: 0 Ongoing Winners [o] 03-02-07 Rail True. (Pent: 4.8). Track Direction Clockwise Stewards Began very slowly and lost significant ground. Did not respond to jockey R. Payne's riding in the early stages and was beaten a significant margin. Winner Gypsy Toff (59) Second Craiglea Ella (54) Third Goldie Girl (54) Inrunning Position seventh on settling, seventh at 800m, seventh on turn Tempo Suited front runners Video Comment Began very slowly and lost significant ground, settled last of 7 on the inside 6+L, last on the inside 6L, always last. Vet - No abnormalities. 7 of 8 6/10/2018 MACKAY: Margin 9.8 Distance 1300m SOT G RST 3 MDN Race Schneider Electric Mdn Hcp Prize $12,000 API 1.21 Race Time 1:17.64 Time Adj +2.86 Sec Time 0:37.41 Sec Time Adj +3.74 Jockey Rhiannon Payne Weight 59.0 CD 59.0 BP 7 Odds 16-1 - 25-1 Trainer Ian D Shaw OHR: 0 Ongoing Winners [o] 01-03-08 Rail True Entire Course. (Pent: 4.7). Track Direction Clockwise Stewards Slow to begin. 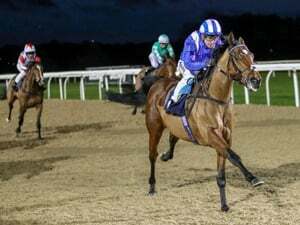 Forced wider by another runner near the 250m and commenced to race greenly and shifted wider, then making heavy contact with the hindquarters of Amron, clipping that runner's heels and blundering badly. Winner Edith Margaret (56.5) Second Serious Crime (55) Third Despirito (58) Inrunning Position eighth on settling, eighth at 800m, seventh on turn Tempo Suited back makers Video Comment Slow to begin, settled last of 8 3WWC 4.5L, 2nd last 2WWC 4L at the turn, forced wider by another runner and commenced to race greenly and shifted wider near the 250m, never in contention. 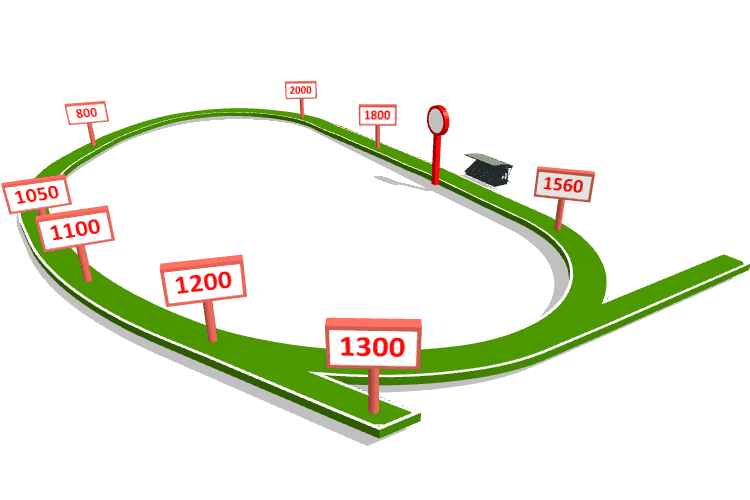 15d 15/01/2019 MACKAY: Margin 9.6 Distance 1050m SOT G RST MDN Race Join The 100 Club Mdn Plate Prize $16,500 API 0.14 Race Time 1:01.14 Time Adj +1.5 Sec Time 0:34.30 Sec Time Adj +0.98 Jockey Madeleine Wishart Weight 56.0 CD 53.0 BP 2 Odds 20-1 25-1 - 20-1 Trainer John Manzelmann OHR: 0 Ongoing Winners [o] 03-03-08 Rail True Entire Course. (Pent: 4.8). Track Direction Clockwise Winner Cosmological (57.5) Second Cristovao (57.5) Third Dont Cheat Charlie (57.5) Inrunning Position third on settling, third at 800m, third on turn Tempo Suited front runners Video Comment Jumped on terms, settled 3rd of 9 on the inside 2L, 3rd on the inside 1L at the turn, made from upon straightening until the furlong, run ended there and only battled thereafter.